Typed Letter Signed, to Mrs. Vane Turner, returning her list of meals, and commenting on the nutritive value, starch content, etc. 1 page 19 x 8 inches, traces of mounting on verso, left edge ragged, light creasing. Queen Anne Street, 14 July 1909. 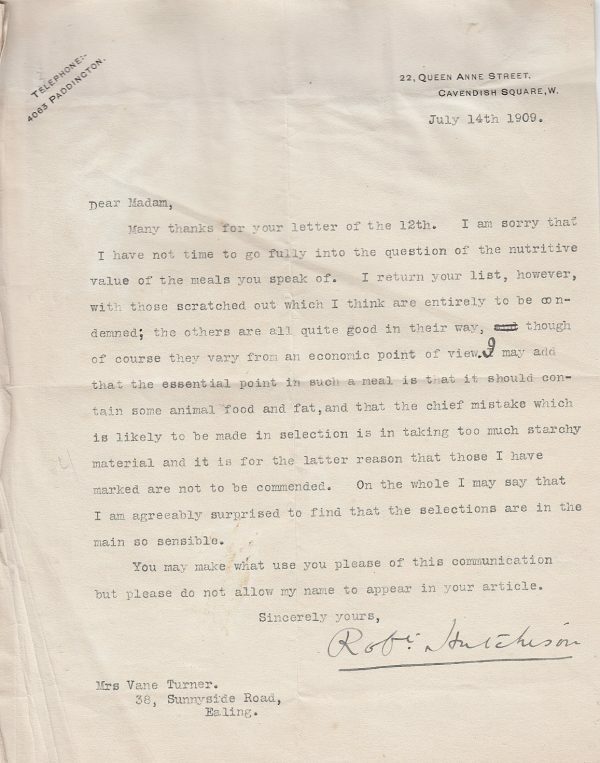 Sir Robert Hutchison, 1st Baronet, (1871 –1960), Scottish physician and paediatrician, original editor of the medical books, “Clinical Methods” and “Food and the Principles of Dietetics”.